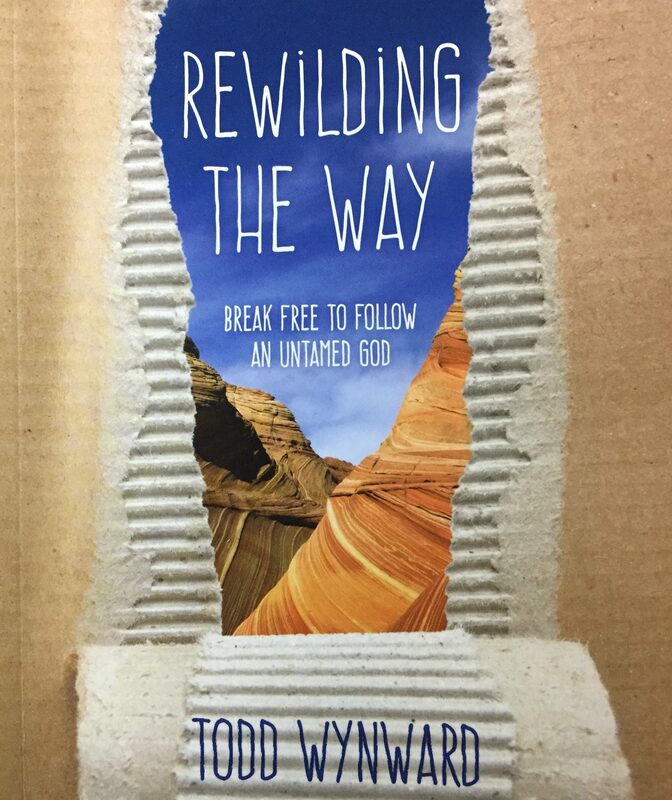 I spent the past month with Todd Wynward’s book, Rewilding the Way (Herald Press, 2015). It has not been a comfortable read for me, even though it is well-written, thought-provoking, and value-challenging. Wynward’s musings on faith and life, individualism and community, and the life Jesus invites us to follow have led me to some prickly soul-searching. The back cover asks, “When did we become so tame?” When, indeed! Like a modern-day John the Baptist, Wynward encourages us if not to repent of our current life-style, then at least to reconsider it – if not to prepare the way, then to at least assess the way we are preparing. Much less rough-around-the-edges than John, Wynward is part theologian, part environmentalist, and part prophet as he gently encourages us to think more deeply about the “good life” – what it is, what it means, and what it costs individually and collectively. Too often we live as though we are an independent, rather than an interconnected part of God’s creation. Throughout the Gospels, Jesus encourages us to love, share, and “not worry about tomorrow” (Matthew 6:34a). How have we managed to stray so far from that simple call to the wilderness of Jesus? Wynward clearly demonstrates that we cannot possibly experience God’s grace when we shelter ourselves so completely from God’s creation. Through the use of personal examples and descriptions of others working toward a wilder way of life and faith, Wynward encourages the reader to imagine a simpler, less controlled life-style that makes room for God’s grace and provision, where we grow where we’re planted, and where we live in symbiotic harmony with the beings around us. It is through wilderness experiences that we recognize God as a living, interactive presence, as well as developing a sense of self-sufficiency in true partnership with God. To abide means to continue, to remain, to stay. It elicits images of stability and permanence. Therefore, when Paul says “faith, hope, and love abide,” he separates these qualities apart as uniquely enduring. While we know that much of what we work for on earth – homes, cars, clothing, food – will not endure, these are the priorities that consume many of our waking hours. We seldom lay awake at night worrying about a lack of faith, hope, or love. Instead, we worry about a lack of money, or a meeting with an unpleasant co-worker, or an appointment with the doctor about an abnormal test result. Faith, hope, and love are not commodities we can purchase, steal, or trade, but they are characteristics we can develop. Some come more naturally to certain people than others, but all of us are capable of cultivating a more-than-sufficient degree of all three. Because Paul says the greatest of these is love, I think it is fair to assume that faith and hope are components of love. If we are to love others in the ways described in 1 Corinthians 13, we must have faith in the innate goodness of others, or their worthiness of our attention. Such goodness is not always obvious, but when we recognize that everyone is a child of God, we accept that everyone is loved and valued by God. We connect in love with their image-of-God essence, attempting to look beyond their all-to-human exterior. A loving relationship also inspires hope. There is an optimism in loving relationships that springs from the knowledge that all things are possible and, in the end, all things work together for good. We always hope for the best for those we love. As we look in-depth at 1 Corinthians 13, we begin to picture the expansive and inclusive nature of love. It permeates every created thing and connects us all. Love is the thread of our interdependence, connecting us together as one – whether or not we ever recognize or affirm our unity. Love expresses intensely in committed relationships, but goes well beyond romance. Love is the essence from which we spring and the destination to which we journey. Love is God, and God is love. Without love we cannot recognize God’s presence in our lives, nor can we love ourselves or others as we should. We feel separate and out-of-step with life’s rhythms. Ultimately, the most pervasive sin of our time is that of separation – failure to recognize our unity with God and others. Separation, like all sin, is its own punishment. It makes us miserable, it makes us feel unworthy, and it makes us feel alone. Love is the antidote to sin and separation. Where faith and hope abide, love grows – and so will we! It should probably not be a surprise that one of the most profound statements in the Bible, in my opinion, is found in the “love” chapter, 1 Corinthians 13. Paul writes that during our life on earth we “see in a mirror, dimly.” While this may not be obvious, it explains a lot – not just about love, but about life in general. The reality is that our vision is inadequate for making sense of much that happens in life. We often find our circumstances shrouded in mystery and beyond our ability to understand. How can a loving God allow the awful events that happen on a daily basis? We cannot see directly or clearly to the essence of what underlies the experience. Dimness can result from poor light, a dirty lens, or an image being out of focus – all of which may apply to our earthly lives. As we consider love, a limited or poorly focused view of love will result in a limited understanding of what love is and what love is not. All of this helps to explain why our experiences of love on earth do not always live up to the expectations created by the Bible, not to mention movies, novels, and fairy tales. When we see and experience love “in a mirror, dimly,” we only gain an approximation of the enormity and inclusiveness of love at its core. We catch a glimpse of the reality, our brains compensate accordingly and convince us we have seen it all, when in fact we have only seen in part. When we rely only on our earthly senses to gage love, we will forever be disappointed. We must also see through the eyes of faith and with an optimistic hope.